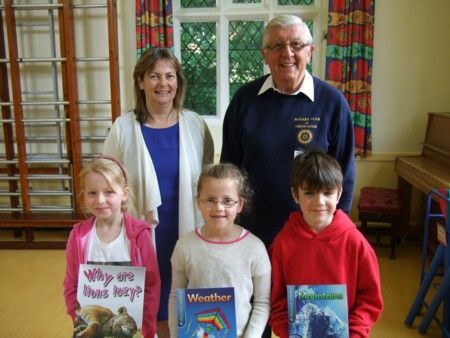 The Rotary Club of Cranleigh continues to provide valuable support for literacy in local infant and junior schools. The donations of money and books are part of the Club’s ongoing programme to support schools and promote educational excellence in the local community. The type of support is decided after consultation with teaching staff, in order to best meet each school's needs. "Traditionally our Rotary Club has awarded dictionaries to children moving from primary to secondary school," said Cranleigh Rotarian Patrick Leake. "However, we now ask schools what they would prefer." The first school to receive books in 2014 was St. Cuthbert Mayne. Subsequent presentations of cheques have been made to Ewhurst Church of England Aided Infant School and Cranleigh Church of England Primary School. 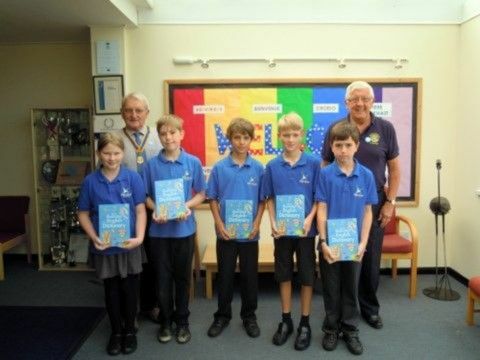 Park Mead Primary School opted to receive a set of Usborne dictionaries, which were presented to year 6 students by Rotary President John Menlove and Patrick Leake on 21 July. “We are delighted to be able to continue supporting local literacy by providing funds for new library books or dictionaries,” said Club President John Menlove. “The dictionaries were personalised with the pupil’s names inscribed inside them and all of the children were keen to get reading and learn new words. The Club wishes all of the pupils many happy hours of reading." "The school staff commented on the usefulness of the dictionaries and books over the past few years, seeing it as a valuable contribution in the light of the restricted funds available to them," added Patrick Leake. 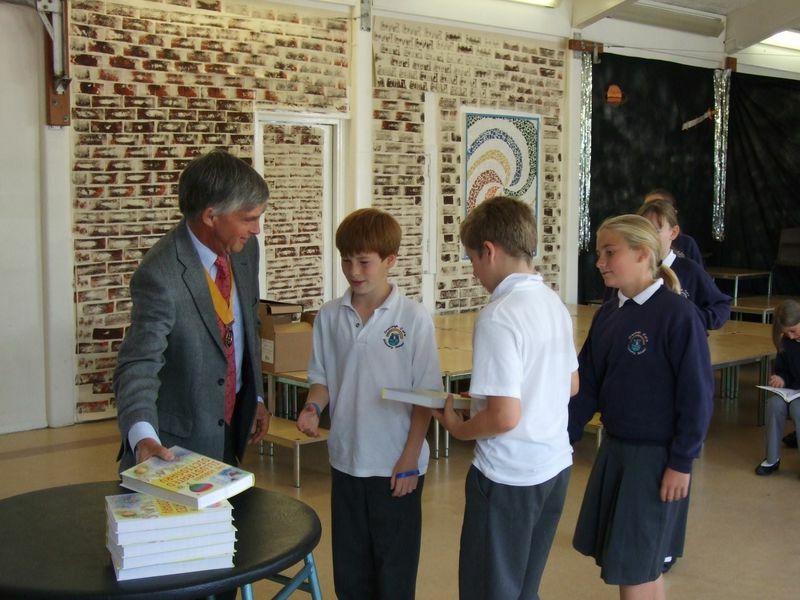 Since 2008, the Rotary Club of Cranleigh has been supporting local primary schools by offering to present an illustrated dictionary to a particular year group of students. The project was made possible through a collaboration between Usborne Publishing, which enables Rotary Clubs in the UK to acquire copies of the Usborne Illustrated Dictionary, specially revised and updated, for donation to children in primary education. Club President John Menlove and Rotarian Patrick Leake join some of the children from Park Mead Junior School after presenting their dictionaries.